This entry is part 22 of 29 in the series Bookshelf. Dickens wrote A Christmas Carol under financial duress, but it became one of his most popular and enduring stories. 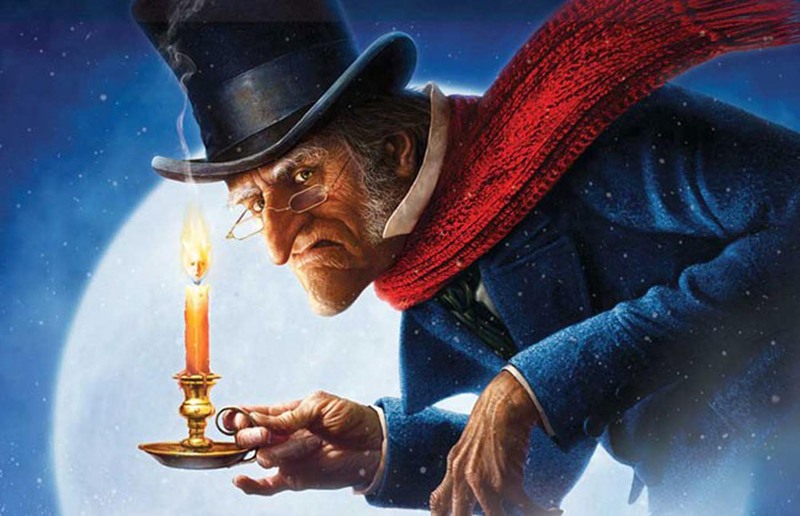 The old miser Ebenezer Scrooge cares nothing for family, friends, love or Christmas. All he cares about is money. Then one Christmas Eve he is visited by three ghosts: Christmas Past, Christmas Present and Christmas Yet To Come. These encounters leave Scrooge deeply moved and forever changed. Historians believe that A Christmas Carol contributed greatly to the modern sentimental Christmas. There is a dark side to A Christmas Carol. The Dickens classic is charming in a secular sense, but it's also brutally realistic about the world, then and now. It is what you would call a "clean" movie with a touching story, and we all know that it's fiction. Nonetheless all movies convey a message. As Christians, we must be careful to ensure that our children understand that the message of this book and movie, though quite tender in what happened to Tiny Tim and his family, falls short on some very important aspects. A contributor from the Ken Ham Blog at answersingenesis.org wrote the following item about the famous 1951 movie version. His edited commentary, entitled The “Christ-less” Christmas Carol provides parents a "Christian Review & Perspective" on this book turned movie. 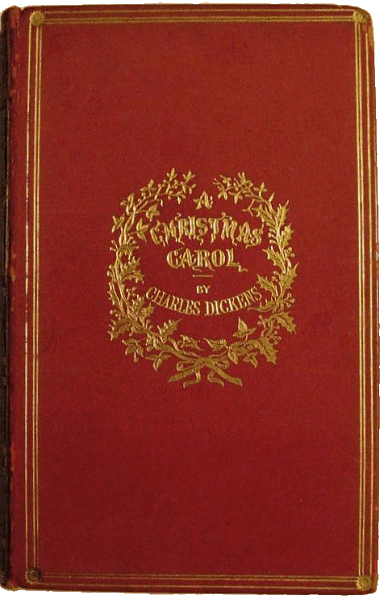 On December 19, 1843, Charles Dickens published his famous novel about Christmas entitled The Christmas Carol. It was made into a well-known movie in 1951 and has become a Christmas tradition that is shown on TV many times each December. Recently, Disney released an animated version of this novel that is a triumph of computer-generated graphics; the animation is very well done. Another version was even made with the Muppets. In the novel, Dickens depicts Scrooge going through a life-changing experience as the result of seeing three apparitions—the ghosts of Christmas past, present, and future. In spite of its title, I suggest the book contains an unbiblical philosophy about life. Let’s consider some important points. First, there is no reference to the Bible and the way of salvation provided for us through the life and death of Jesus Christ. There is only an allusion to God by Tiny Tim at the end of the novel. This in itself should raise suspicions about the intent of the author, for the novel is indeed "Christ-less." The novel gives the idea that you may be able to have salvation by seeing or experiencing something. The Bible however, says that salvation is only through Jesus. "Jesus said to him, 'I am the way, the truth, and the life. No one comes to the Father except through me'" (John 14:6 ). Scripture also states, "Nor is there salvation in any other, for there is no other name under heaven given among men by which we must be saved" (Acts of the Apostles 4:12). The world would like to believe there are many ways to heaven, but according to the Bible, Jesus Christ is the only way. Too many people are waiting for some experience or feeling before they will simply take God at His Word and accept through faith the salvation which He freely provides. They have the nerve to dictate to God how He is to dispense His mercies to them! Like the man at the pool of Bethesda, they will wait for a very long time and likely will wait themselves into hell unless God intervenes. (John 5:2-5 ). The way of salvation as laid down in the novel for Scrooge is really a "works-based" salvation. If you do enough good deeds at the end of your life, these somehow will atone for all the bad deeds you did when you were younger. This is biblically wrong for several reasons. First, this belief contradicts what the Apostle Paul wrote: "For by grace you have been saved through faith, and that not of yourselves; it is the gift of God" (Ephesians 2:8) and "So then faith comes by hearing, and hearing by the word of God" (Romans 10:17). Just try this plea on a human judge! For example, suppose a convicted bank robber pleaded that he should not be punished because he had not robbed a bank in years and had been most generous helping others with the money he had stolen. Just like God, a human judge requires payment for what is past. No amount of good works in the present can atone for past sins, as the Scripture plainly states, "Not by works of righteousness which we have done, but according to his mercy he saved us, through the washing of regeneration and renewing of the Holy Spirit" (Titus 3:5). Only when we are covered in the righteousness of the Lord Jesus Christ will God see us as perfect—but only perfect through what Christ did on the Cross in atoning for our sins. Consider this verse: "I will greatly rejoice in the Lord, my soul shall be joyful in my God; for He has clothed me with the garments of salvation, He has covered me with the robe of righteousness, as a bridegroom decks himself with ornaments, and as a bride adorns herself with her jewels" (Isaiah 61:10). In addition, God does not grade on a curve. He will accept perfection and nothing less. "Therefore you shall be perfect, just as your Father in heaven is perfect." (Matthew 5:48). If you only break one of God’s laws, then you are already guilty and destined for eternal separation from God in hell. "For as many as are of the works of the law are under the curse; for it is written, 'Cursed is everyone who does not continue in all things which are written in the book of the law, to do them" (Galatians 3:10). Likewise, "whoever shall keep the whole law, and yet stumble in one point, he is guilty of all" (James 2:10 ). Remember, Adam only had to commit one sin to be expelled from paradise, and his rebellion ruined the entire human race. Satan only had to think one evil thought before he and all his hosts were eternally judged guilty. Biblical Christianity differs from all other religions, for they all say "do and live," but only Christianity says "live and do." Christians do not work to earn their salvation because that has been accomplished by Jesus Christ, but they do good works out of gratitude for the free salvation they have already received from God through faith and in obedience to the instructions for Christians in God’s Word. The novel by Dickens is an interesting literary work and is of historical interest about the conditions in England during the Victorian era. It should be treated as such and no more. Such books (and movies based on novels) can be entertaining to watch, but we need to make sure those watching them do not get influenced with wrong ideas that can be conveyed by such media. The Real Christmas Carol is found only in the Bible, when the angels sang to the shepherds announcing the birth in Bethlehem of the Savior, who is Christ the LORD. There never has been—and never will be—any salvation for us apart from faith in the finished work of Jesus Christ, which He accomplished on the Cross. In whom or what are you trusting today for your eternal salvation? Charles Dickens classic of the same name. Ebenezer Scrooge is a hard-nosed, single-minded businessman in Victorian London. An old bitter miser who makes excuses for his uncaring nature learns real compassion when three ghosts visit him on Christmas Eve.